This book addresses growing tensions in Northeast Asia, notably between North Korea and China. 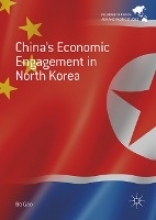 Focusing on China`s economic participation in North Korea`s minerals and fishery industries, the author explores the role of China`s sub-state and non-state actors in implementing China`s foreign economic policy towards North Korea. The book discusses these actors` impact on the regional order in Northeast Asia, particularly in the Korean Peninsula. The project also provides a comprehensive and up-to-date account of China`s cultural and economic activities in North Korea as implemented by both the historically traditional actors in Jilin and Liaoning provinces in Northeast China, and new actors from coastal areas (Shandong and Zhejiang provinces) and inland provinces (Chongqing and Henan) to Zhejiang province. It argues that in the era of economic decentralisation, Chinese sub-state and non-state actors can independently deal with most of their economic affairs without the need for permission from the central government in Beijing. A key read for scholars and students interested in Asian history, politics and economics, and specifically the East Asian situation, this text offers an in-depth analysis of recent activity concerning the Sino-DPRK economic relationship.